Antique cement tiles can be spotted throughout Europe, North Africa, Latin America, and Southeast Asia. Many of these installations are more than a century old. We have molds for hundreds of traditional patterns, and are ready to produce many of these immediately, but we can reproduce any antique cement tile floor pattern. Just contact us for information. 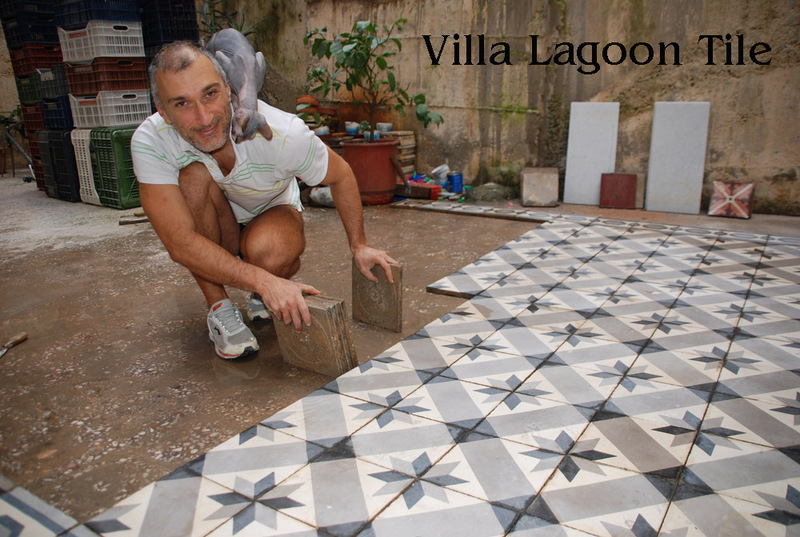 In Greece historic cement tiles are being salvaged by Russell Mikler and his little feline buddy. Russell has found lovely encaustic tile under as much as 25cm (10 in.) of dirt !! Some of these photos are of tile from an abandoned home in Athens which has now been torn down. Sometimes the roof of these old homes and mansions will have caved in making it even more difficult for Russell to remove these old tiles. To see more photos of the antique tile that Russell has removed from abandoned buildings click here. Most of these patterns are still in production even after 100 years and we can make them for you in your choice of colors. 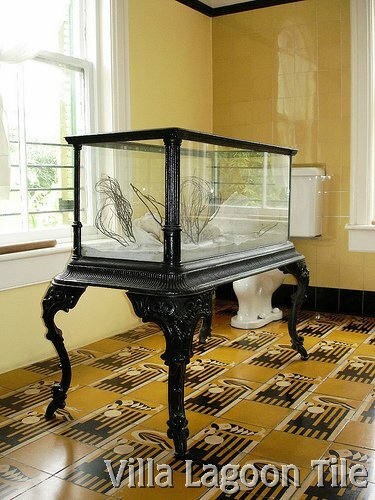 In Hemingway's house in Key West you can see some very snazzy Art Deco cement tiles. This house was Hemingway's home from 1931 to 1939, when both Cuban Tile and Art Deco were at the height of popularity in South Florida. We have been so taken with this historic cement tile that we've launched a revival. We call the mix "Key West". 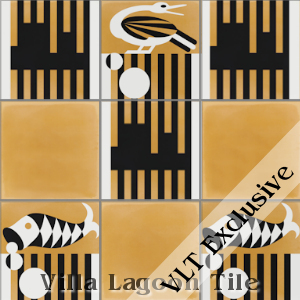 Click here for more photos of Villa Lagoon Tile's "Key West", and the original historic tile. The bar where Hemingway spent a lot of time in Key West is Sloppy Joe's Bar. This is the Cuban Tile floor. This striking bathroom with seagreen walls and an Italian antique cement floor tile is in a Long Island weekend home decorated by NYC designer Joe Nahem. 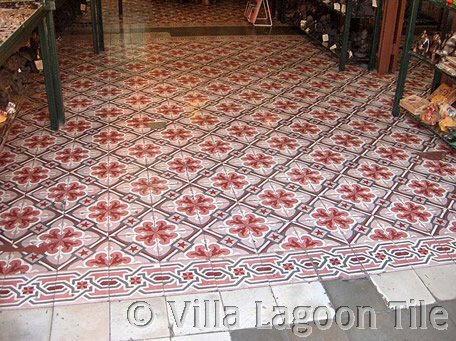 We can make antique reproduction cement tiles to give you a similar look. 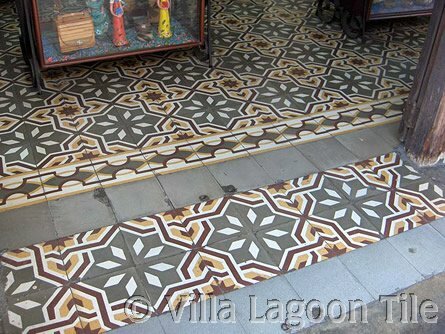 On a recent trip to the Caribbean we snapped photos of several shop's tile floors. These cement tile floors have seen years and years of foot traffic, hurricanes, rain and sun and look how well preserved they are. This is a photo I took in the Dominican Republic in a storefront. 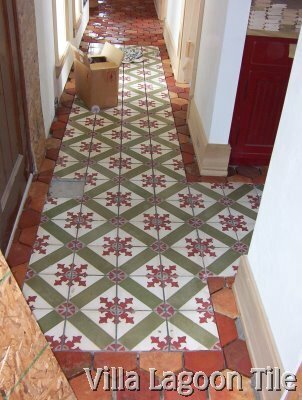 This is a photo of a home on Lake Michigan in which VanDaff's Interior Design is installing antique cement tiles with a terra cotta tile border down a long hall. This application certainly adds interest to an otherwise boring, utilitarian space. 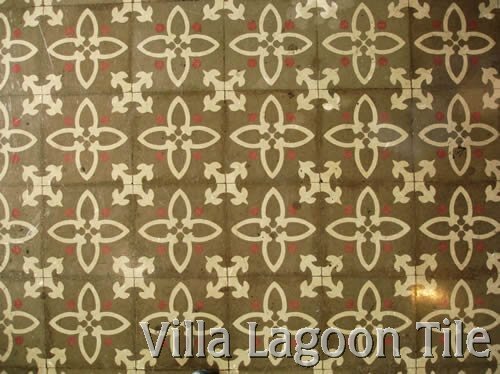 If you like using antique French floor tile in your designs, then consider the cost savings of our cement tiles that are custom made to the colors you specify. 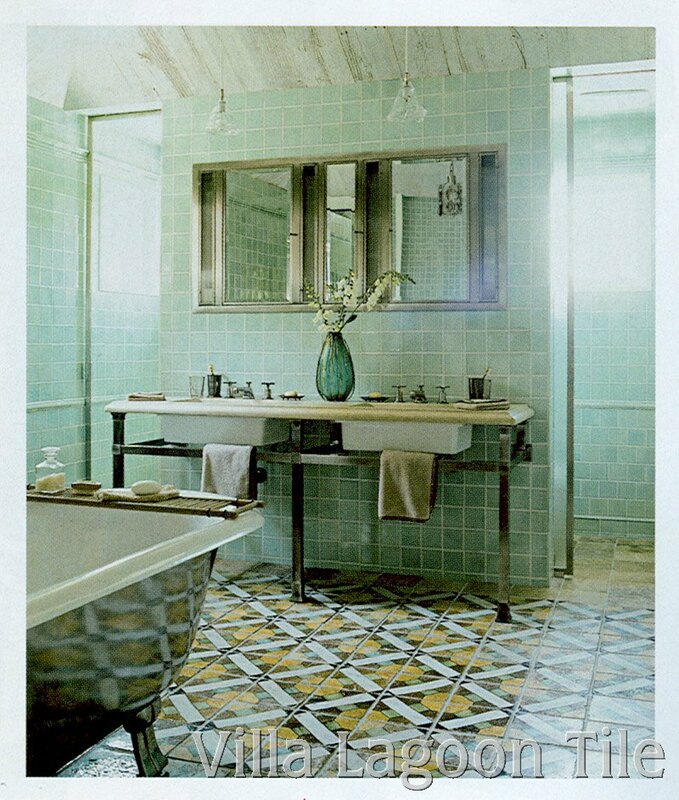 If you see a design on our site that you like but it is not a part of our cement tile catalog, let us know. We may be able to get the tile you want or a similar design. 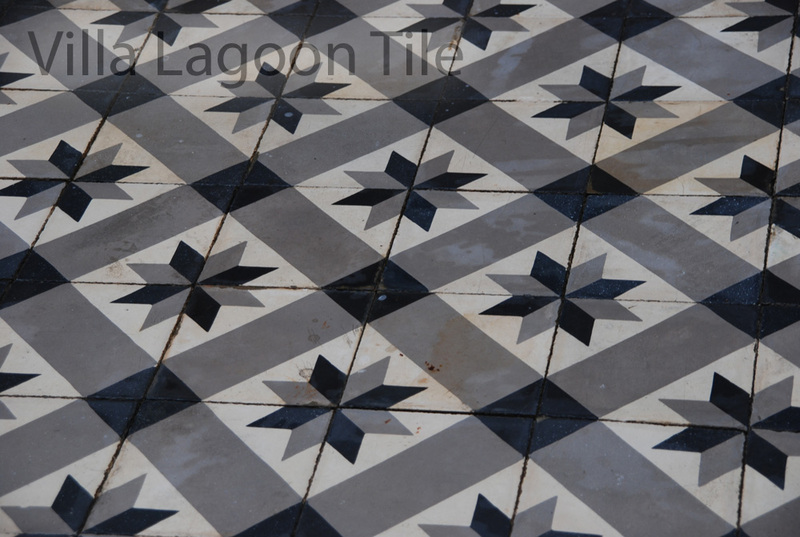 If you are looking for carrelage ancien then we can make them for you as reproduction tiles.